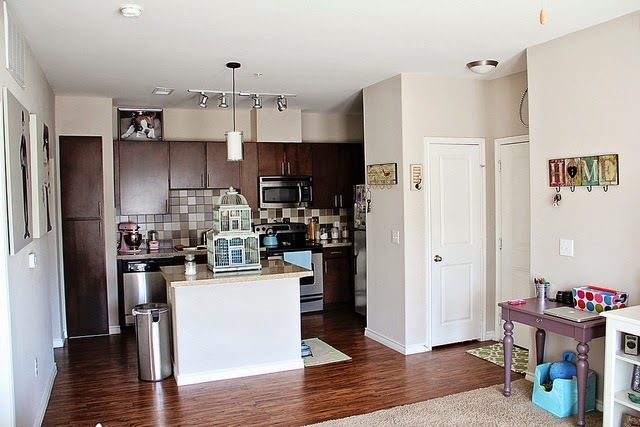 Although stunning and contemporary, the apartment alone is a little plain. 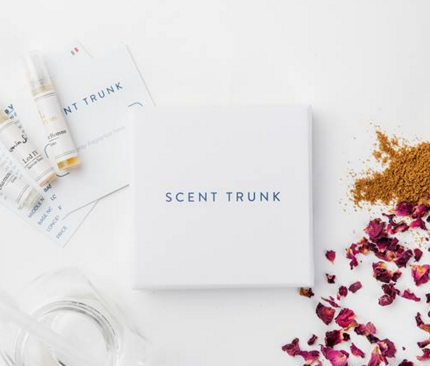 But Genevieve has filled it with lovely colors, pretty patterns, and accents that express her personality and favorite things. An eye-catching shabby chic birdcage sits on the island. A pink KitchenAid mixer and light blue kettle add a pastel punch to the neutral kitchen. A classy little writing desk brings in a lovely shade of plum that works well with the neutrals and pastels alike. Just because something's hidden behind closed doors doesn't mean it should be plain. 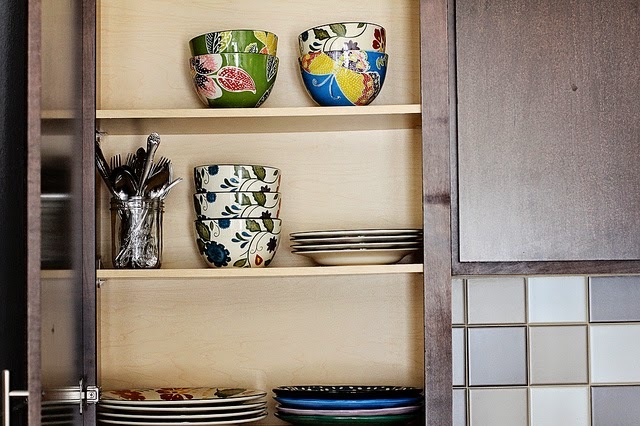 Open Genevieve's kitchen cupboards and you'll find colorful, beautifully patterned bowls and plates. Even her silverware gets the special treatment stored in mason jars. In several spots, pretty rugs add a punch of print and color to the hardwood floors. Genevieve's living room is bright and airy – I love how the sunlight pours in through her French doors. A creamy white television cabinet and bookcase add necessary storage and display space without looking heavy in the ivory room. 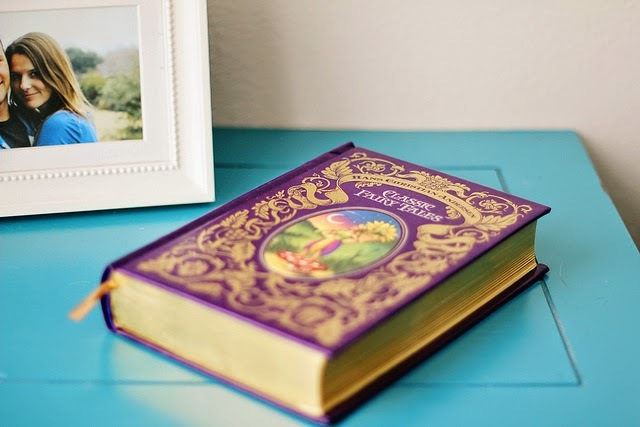 She has a real knack for setting up cute, uncluttered vignettes – like this purple fairy tale book against a turquoise tabletop. 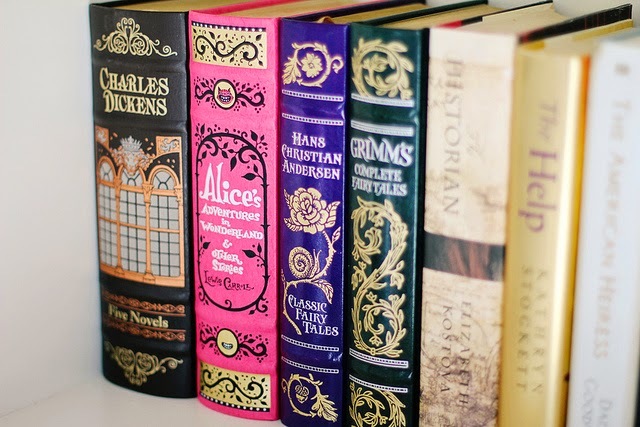 I'm definitely a little envious of her collection of these beautiful books – especially that hot pink Alice's Adventures in Wonderland one. In the bedroom, you'll find a white iron bed between two different nightstands – lending an eclectic, cottagey feel. 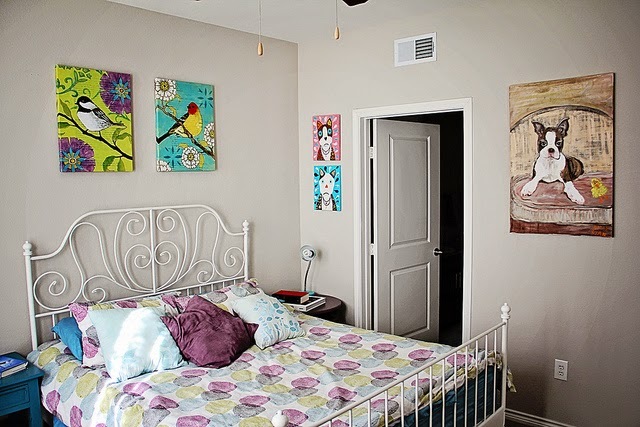 Genevieve appears to share my love for fat little birds, as they appear on artwork throughout her space. 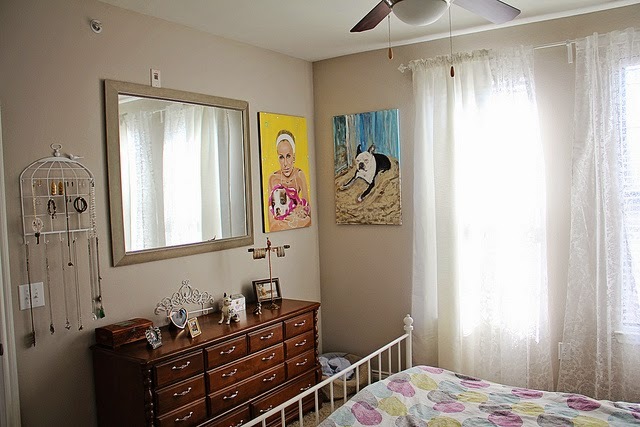 Boston Terriers also make appearances throughout her bedroom, living room, and kitchen. Set among the white bed, ivory lace curtains, and neutral mirror frame, the large wooden dresser grounds the space and lends its rich, warm color to the room. Necklaces hang neatly from a birdcage wall organizer and a curated collection of treasured photos dress up the dresser top. To shop for items in this inspiration board, view the set on Polyvore. 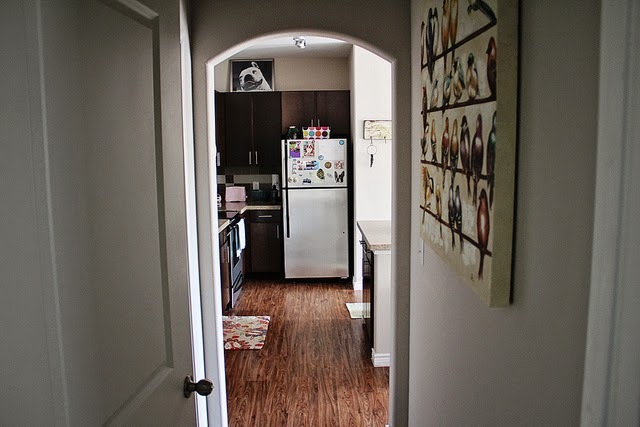 There are more photos of Genevieve's apartment – check them out on her Flickr photostream. 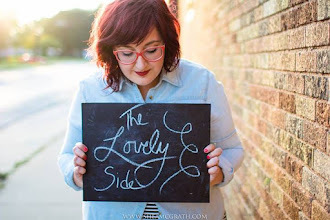 She's also a talented photography – visit Genevieve's photography website here. What's your favorite part of Genevieve's place? 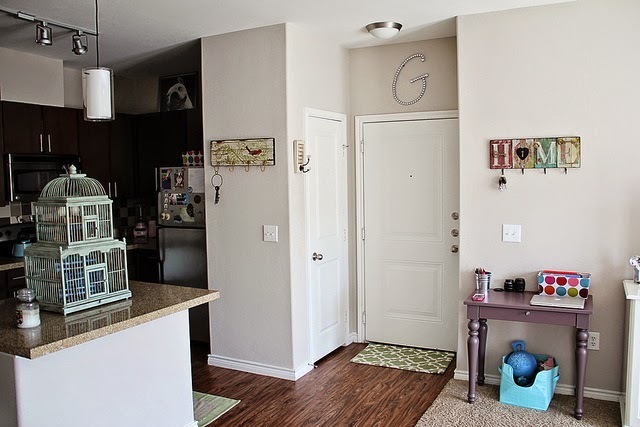 I like how you only use neutral hues and pallet for the walls. That way, it gets so much easier to match other furnishings in the house with bright and lively colours to contrast against the bold pastels. My estate agent previously showed us a house with a similar concept and the first thought that we had in our minds was how easy it was to decorate later on. 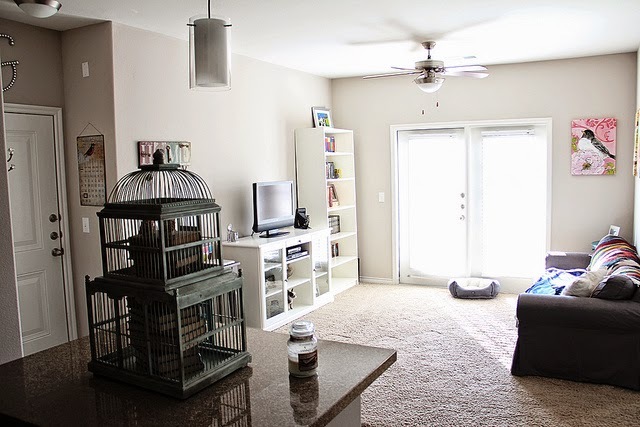 I guess it works like a blank canvas and all you need is to carefully select your furniture and accessories.